One of a series of eight life cycle friezes. The detailed photographs provide an attractive stimulus for discussion and an introduction to concepts of time and changes. Teaching notes are included. 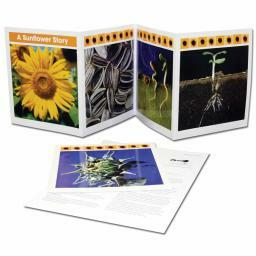 This frieze shows the growth cycle of a sunflower.